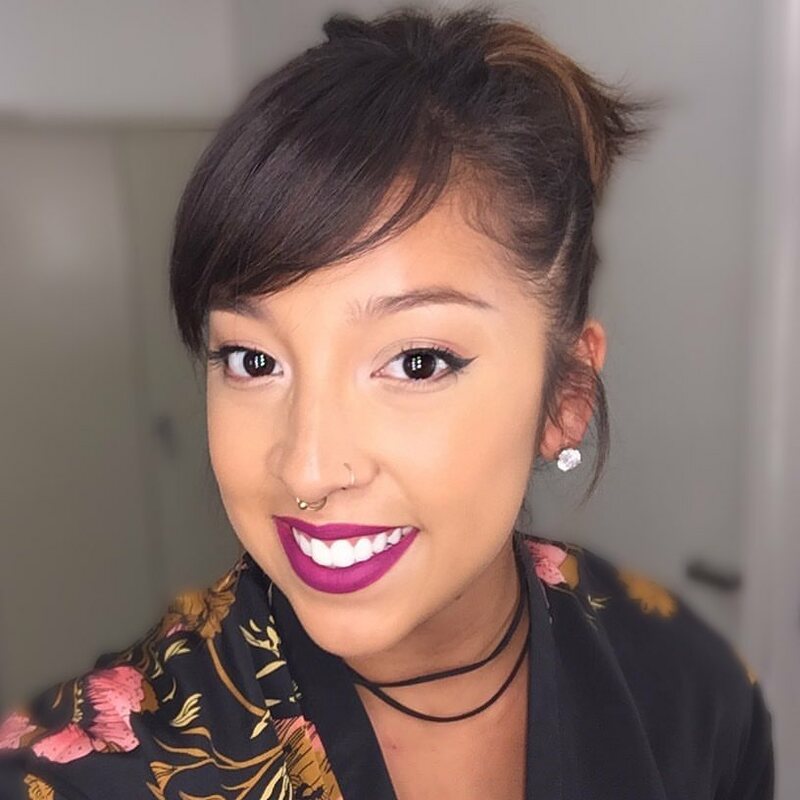 Caroline Monge is a Cosmetology graduate from Aveda Institute South Florida and is now pursuing her passion in the beauty industry as a full-time freelance hair and makeup artist. She has had the opportunity to work on major television networks with celebrities including Martin Short, Bernie Sanders, and some of the cast from Orange is the New Black. Her passion and dedication for beauty is a clear driver for her current success. Read about her experiences below and learn about how she has paved the way to a career doing what she loves. What inspired you to pursue a career in the beauty industry? “I have always been fascinated with art and beauty and was drawn to hair and makeup at a very early age. I would draw faces on paper and color them in with my mother’s makeup. Also, I found myself exploring difficult and cool styles in middle school and constantly taking risks in this aspect. Naturally, as I got into high school, I became a performer in my high school color guard (a sport of the arts, not ROTC) and was deeply immersed in that world. I would always do the hair and makeup for the girls on my team and to this day, I still design the elaborate makeup and hair designs for several teams throughout the US. Why did you choose an Aveda education? “Quite honestly, I had always wanted to go to a makeup specific school as I was completely self-taught in hair and makeup prior to attending Aveda. I use to research online, and buy and rent books to look up the history of hair and makeup and new techniques. This was well before the craziness of youtube tutorials. There were some videos online, but not as much as there are now. What was your favorite experience at Aveda Institute South Florida? Tell us about your journey after graduation – how did you get to the point you’re at now? “Shortly after graduation, I began working full-time at a Television station that was partnered with Univision. Here, I grew and learned so much. I was able to get into this job because a close high school friend of mine recommended me, and I auditioned with a few other artists. Luckily, one of their primary talents loved my work, and shortly became part of the hair and makeup team and the Fusion Network. It was a wild ride, but I learned so much and was able to put what I had learned in school and life into improving my hair and makeup work. I also met some amazing people whom I am still working with today. What do you love most about being a licensed Cosmetologist? What’s been the most memorable experience in your career? Who are some of the celebrities you’ve worked with? “I’ve had the pleasure of working with Martin short, Miami Dolphin cheerleaders, Bernie Sanders, a few stars of “Orange in the New Black”, and the sweet Ariana Huffington, just to name a few. Although I didn’t directly work with him, I was able to be a part of Dwayne Johnson’s HBO show “Ballers” which was my first job once I got into the makeup union. He is definitely as nice as you think he is! What are your long term goals and how do you plan to achieve them? Advice for current students and/or anyone considering a career in the beauty industry? You can view Caroline’s portfolio, experience, and resume by visiting Caroline Monge Artistry. Do you have a passion for beauty? Caroline graduated from Aveda Institute South Florida located in Davie, close to Ft. Lauderdale and Miami, Florida. We have 20 locations throughout the Southern Region of the United States. Click here to fill out a form to get a jump start on your Aveda Education.